She was late .... for a very important date -- so claims a Vegas nightclub which is suing for a refund on the $236,000 it paid Nicki Minaj after she allegedly botched a club appearance after the Mayweather vs. Pacquiao fight. According to the lawsuit, Nicki was booked to appear at Chateau Nightclub in the Paris hotel at 12:00 AM sharp after the May 2nd fight ... stay for an hour ... and perform 2 songs. Problem is ... people behind the event claim Minaj didn't show up until 1:19 AM and only stayed for 34 minutes. They're pissed -- because they allegedly pre-paid Nicki's people. The party people say the clubgoers were equally pissed -- and it affected their ability to sell VIP tables at the club that night, which were expected to fetch in excess of $25,000 each. Nicki isn't named a defendant in the lawsuit -- but her booking company is, Pink Personality, LLC. 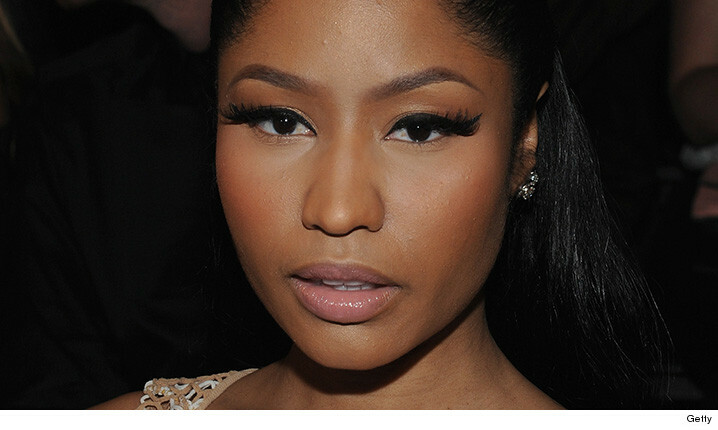 We reached out to Nicki's camp for comment -- so far, no word back.